dedicated server hosting is a cost-effective digital hosting service to meet rising market and end-user demands. It is a securely managed environment that provides greater flexibility, and focuses on the privacy of your critical data and applications at no big costs.BigBirdWeb’s SSD dedicated server packages are based on cutting edge pure SSD cache drives. Enterprise grade hardware with nothing but the best SSD drives for optimal performance. You can start with a small managed SSD dedicated server and upgrade as needed with no IP change or data migration so things are kept easy and affordable for you. Enjoy India’s #1 dedicated server Hosting with our feature-packed dedicated server hosting plans, giving you huge cloud storage, Best Uptime in the Industry, Complementary DDOS Protection and the world-leading cPanel hosting control panel. 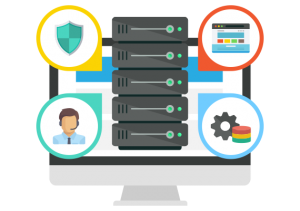 Our SSD Dedicated server with cPanel packages are affordable and a cost-effective solution for those who want the benefits of a VPS and the super-fast speed of secure dedicated server. Our cheap dedicated server hosting solutions have all the advantages of the dedicated packages with the additional performance of solid state drives. All packages now include DDOS protection at no additional charge! 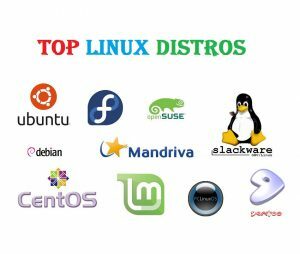 Stop sharing web server resources and choose a Linux dedicated server. Take full control in your hands with the most powerful Cloud powerfull dedicated server hosting. Dedicate to your websites a dedicated server space, full SSH root access, a cloud infrastructure and almost unlimited resource scalability with lower costs. Dedicated server simple and inexpensive hosting the same way as the web hosting plan! at an additional cost, you can also opt-in for managed dedicated service. BigBirdWeb’s dedicated server hosting performs and executes exactly like a stand alone server for its users and applications, as it can be rebooted independently and has its own root access, users, IP addresses, memory, processes, files, applications, system libraries, and configuration files. With BigBirdWeb, dedicated server clientele are hosted on powerful RAID 1 servers and have Rebootless Updates. Your Choice Of number of IP with email marketing dedicated server. With BigBirdWeb’s Linux dedicated server with 5 or more IPs, we provide multiple IP options with rDNS and whitelebled. You can select the operating system of your choice. Get online dedicated servers with full control, root access, 99.95% uptime, and fully managed servers online at low cost in India as of compared to any other dealers. We offer high-end IT dedicated servers to manage your IT environment and meet all your business needs. We provide reliable power, cooling even it can be protected by DDOS protection, threat detection, and network security to increase your application ability with all kind of security vulnerabilities.With the help of our dedicated server hosting one can be provided with free Cpanel, unlimited bandwidth and disk space as per the requirement of the user application. Even we offer scalability and flexibility to migrate across environment and user can choose to work on any of the operating systems like Linux or windows. Included in All Packages for your dedicated server, Setup your web hosting. We are committed to customer satisfaction and want to make sure that every programmer feels right at home. Our dedicated servers support PHP 5.2/5.3, Perl, Python and Ruby on Rails. Also, we support an unlimited of MySQL databases that enables you to scale database. Linux server offers a Full Root access via SSH or SolusVM console. You can install all kind of software like: VPN, VNC, FFMPEG, IRC server, DNS, Mail Server (SMTP), Web server (PHP, MySQL), Proxy, Game server, ROR, SVN, Shoutcast and more require Linux OS. You can manage and reinstall your dedicated server hosting with the operating system of your choice. You can also reboot, stop and start the server and manage the DNS records (geo independent and redundant DNS cluster), up to 100 domain names, for free inside your control panel (ticket). You can add 256 additional dedicated IP addresses to your server in the order process or later. On some VPS nodes we allow IPv4 addresses from different subnets (SEO IPs). We also offer native IPv6 support free of charge. server locations - UK, USA, Canada, India, Lithuania, France, Germany, Netherlands. Should you ever need more resources for your server, we can satisfy your request without any downtime. No need to change your settings or do any migration of files or databases. We give you more power on the fly without affecting your settings. Our cheap server hosting plans give you more power and flexibility to run. Looking for Dedicated Server USA? Any business venture who is looking forward to the growth scalability should consider a Linux dedicated server due to web traffic, increases, overall performance and through puts parameters. Hence, any business owner who needs specific / custom applications installed on their server, but unable to fund the purchase and maintenance of a dedicated should consider Linux dedicated server hosting. All the dedicated server hosting server plans mentioned on our website are fully managed with some additional cost.Our managed dedicated server plans are the best option for users who wish to upgrade from shared platform to a dedicated server but hesitate due to lack of technical skills and system administration knowledge. Unlike other VPS hosting service providers in India, we do not charge a penny for the VPS management. You will find VPS providers charging heavily for managed, semi-managed and fully managed VPS plans. How to access dedicated server? Seamlessly, your server is better enriched with 5 IP address. However, it provide ability to get purchase up to 256 additional IP addresses with dedicated server for Server via your clientarea. What I'm unhappy with server? We’ll be sorry for that situation, But no money back guaranty available for dedicated server. Will you transfer my dedicated server? Yes, if you opt for the dedicated server management then our team will help you to move your website to HostFurious dedicated server. You can also register domain and transfer domain to HostFurious. Yes, completely if you take managed dedicated server hosting plan.